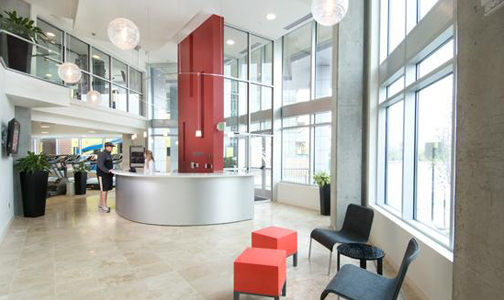 The Riverfront Athletic Club is one of the great amenities Riverfront Park has to offer. Now that spring is here, it’s time to hit the gym and get ready for pool season. The Riverfront Athletic Club or RAC as the locals call it, is a 6,500 square foot club for the residents of the neighborhood. Centrally located in the base of Glass House, this club features a variety of cardio equipment, free weights and four personal trainers. RAC also offers the best classes in Spinning, Yoga, Pilates and Boot camps to get you into shape. Visit their website for more information. Riverfront Tower #307 is one of the best in the neighborhood with it’s location on the Plaza and large size. This is a rare home with a generous floor plan comprised of three bedrooms and three bathrooms, a formal dining area, expansive great room and a flexible space that can be used as a home office or den. Adding to the appeal are two covered terraces facing Commons Park – the larger terrace is accessed from the great room and den; the smaller from the master suite. The master suite has a sumptuous five-piece spa-like bath and a huge custom walk-in closet. 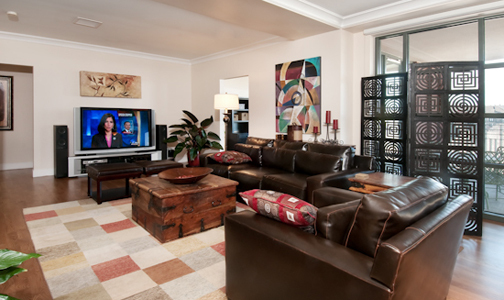 Both guest suites are well-appointed with ample room for company or a large family. The comfortable kitchen features high-end stainless steel appliances, granite counters, and a breakfast bar. Spacious and elegant, this home has it all. This residence will be open Sunday, March 28th from 12-3 and is offered at $1,150,000. Come take a look! Thanks for checking out my website. 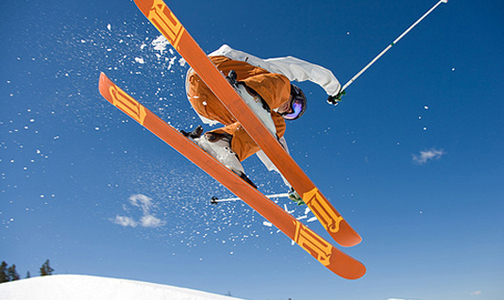 We are going to have a great day up at Winter Park enjoying some of the worlds best skiing. They got one inch of new snow, not as much as we would like but it appears the snow stayed in the city instead of the mountains! Temperatures will be from 8-22 degrees with partly cloudy skies. Denver is “greener” than we thought! It seems only appropriate that in a week when everyone loves green for St. Patty’s day, Denver gets ranked 7th on the “green-cities” list. 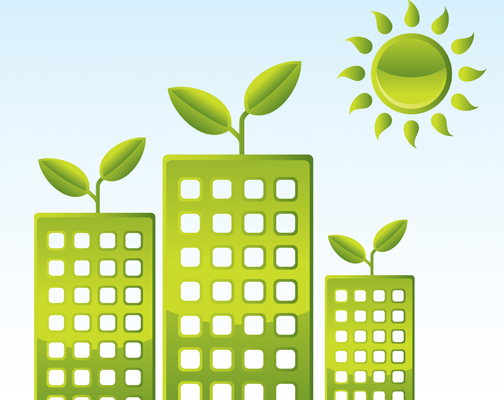 43 markets were a part of the “Green Cities Index” evaluation. This index ranks metro areas on a variety of environmental factors such as traffic congestion, transit use, water quality, carbon emissions, LEED-certified projects and more. Some of the other cities on the list were Portland, San Francisco, Honolulu, Austin and Boston. Tomorrow, March 17th, check out one of the best Irish Pubs in Denver. 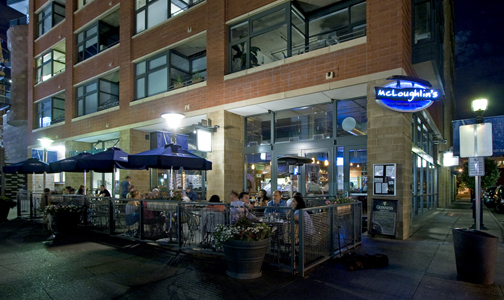 McLaughlin’s right here in Riverfront Park always has incredible festivities including Irish Dancers, traditional Irish food, bag pipers, and great drinks! The fun starts at 1:00pm and goes well into the night. Click here for the full schedule of activities. Top o’ the Mornin’ to ya! 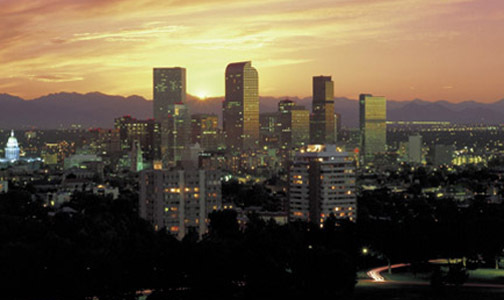 In an article by the Denver Business Journal, sales and prices of real estate improved again in February. Denver is slowly coming out of the recession and it appears to be faster than most other markets. According to the Denver Metrolist: “Condo resales had a 9.87% spike in February with, with 523 closed sales compared to 476 year over year.” Additionally the average sold price was up 20.2% from 2009 and 5.4% from January of 2010. All the signs are pointing in the right direction and this market is gaining speed and stability. This is great news for Denver! St. Patty’s Day is almost here again. 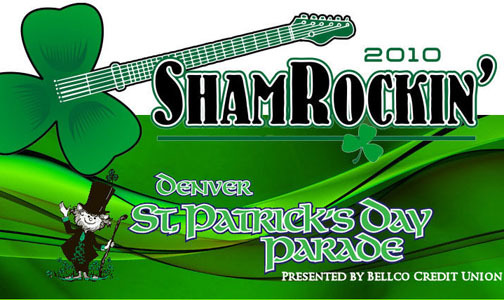 This Saturday, March 13th will mark the 48th annual St. Patrick’s Day Parade in Denver. Starting at 27th and Blake at 10:00am, the parade will march down Blake to 17th Street and to Wynkoop finishing up at Coors Field. Denver has one of the largest parades in the nation with close to 10,000 marchers, 230 entries and close to 200,000 spectators. Anywhere along the parade route will give you a great view of the festivities. Click here for the official website. 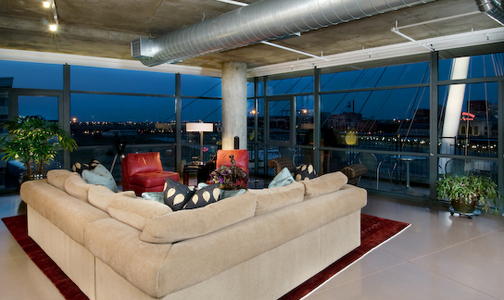 Promenade Lofts #608 is an extraordinary residence in Riverfront Park, Denver’s most esteemed neighborhood. This beautiful home has it all: over 3,200 square feet of stunning city views up 16th Street, wide open floor plan for living and entertaining, two large master suites plus a huge den with a Murphy bed, three parking spaces (!) and superbly crafted built-ins throughout. From the sixth floor of the Promenade Lofts building this home has commanding views of the city and a very clean modern feel on the inside. This building is located at 2100 16th Street and is situated in on the Riverfront Park Plaza and at the base of the Millennium Bridge. Call me to see it for yourself at 303.618.3622. Great News! The Union Gateway Bridge opened last Friday and it’s beautiful. 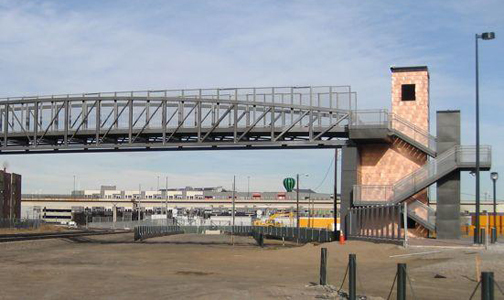 This is the bridge that was formerly known as the 18th Street Pedestrian Bridge. It adds another passageway over the Consolidated Main Line railroad tracks from Riverfront Park into Union Station Neighborhood and LoDo. Right now when you cross it you end up over on 19th Street but soon enough it will land you in heart of the city. So for now, it’s the bridge to the future. Go up and check it out. The best part is the elevator on the Union Station side has a glass wall. Watching the construction on that piece of land is pretty incredible. 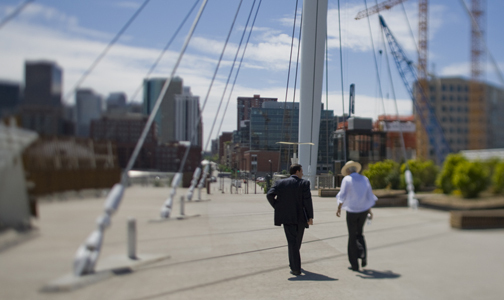 Walkability is the newest buzz word in real estate. Walkscore.com is a website that measures the walkability of neighborhoods in the US and Canada. The website lists local grocery stores, libraries, restaurants, fitness centers, parks and other facilities that surround the home. Based on a 100 point scale, Walk Score gives the ratings from Walker’s Paradise to Car-Dependent. Riverfront Park scores a 92 which is the highest honor of a Walker’s Paradise. As more neighborhoods are becoming pedestrian friendly it is evident that walkability is here to stay. The wonderful Riverfront Park Retailers along with LoDo across the bridge makes Riverfront Park one of Denver’s most walkable neighborhood.